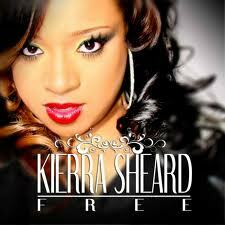 Kierra “Kiki” Sheard, daughter of renowned gospel music artist Karen Clark-Sheard, has become an accomplished gospel music artist at only 25 years old. It was at six years old that a public audience first had a chance to witness Kierra Sheard’s amazing vocals at Greater Emmanuel Institutional Church of God in Christ, pastored by her father Bishop J. Drew Sheard. Her first appearance on a professional album occurred when she was 10 years old. She was a featured vocalist on her mother’s debut solo album, Finally Karen (1997), on the song “The Will of God,” written by Bishop Richard “Mr. Clean” White. The song won a 1998 Stellar Award for Best Children’s Performance. Kiki earned an undergraduate degree in English with a minor in Psychology from Wayne State University. Read the rest of my article published at SoulTrain.com. “Like” the article on SoulTrain.com and leave a comment on it at SoulTrain.com. Each month, Revolutionary Paideia selects a person who embodies the “unsettling, unnerving, and unhousing” spirit that founded this blog. The choice this month was too simple. When you think about the month of November as a time to reflect on who and what you have to be thankful for, one of the most important people who I have to be thankful for is my pastor, Bishop Paul L. Fortson. This man is the epitome of what a holy and righteous man of God is and should be. His love for helping hurting people “unsettles, unnerves, and unhouses” us and lets us know that it is not about our own selfish interests, but it’s about a spirit of compassion for loving and giving to others. In a time when we have questions about the salvation and leadership of certain clergymen, Bishop Fortson is one man we don’t have any questions about. His leadership is simply impeccable. At some churches, the preachers don’t have time to talk to you and even pray for you personally. Bishop Fortson always takes time to pray for you and talk to you. While many saved and unsaved people criticize preachers about always wanting money, Bishop Fortson is not interested in getting your money. He is interested in how to get you into Heaven and into showing you how you can live a victorious and prosperous life in this present world. Soul winning is Bishop’s top priority—not money! This is why the Lord has blessed him so richly and thoroughly. I very much appreciate Bishop’s prayers and love. Even while I’m about 15 hours away from him, he’s always praying for me. I appreciate that so deeply. 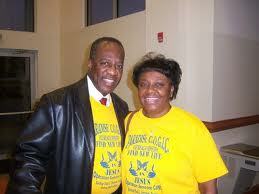 Some preachers are “so deep” that you cannot talk to them, but this is not true about Bishop. He’s a person you can talk to like anyone else. He’s going to tell you what the bible says and what God spoke to him about your life, so don’t get mad when he tells you just like it is. When he tells you just like it is, he does it with love. You should appreciate his candor. 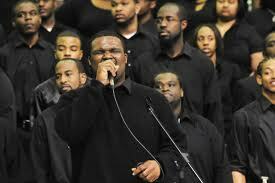 We have enough preachers today who are not transparent, but we can be thankful that Bishop Paul L. Fortson is one preacher who is not going to hide anything from you. This man of God has fed the homeless and given them shelter. We need more selfless people like him in the world. We also need more selfless preachers like him. When it comes to how he teaches and preaches, he is going to tell you what God said without sugarcoating it. He teaches the bible in a way that adds nothing to it and takes nothing from it. I could really go on and on about this great man of God, but time and space will not allow me. One day, I’m going to write a book about Bishop Fortson so that it will be a blessing to his members and to the world. The world needs to hear about and learn from this great man of God. I encourage you to visit Bishop Paul L. Fortson and his lovely wife, Evangelist Carolyn C. Fortson, at Paradise Church of God in Christ at 4234 Hendrix Drive in Forest Park, Georgia. You can email me at antoniomdaniels@gmail.com for information about times and days of church services, and/or you can leave a comment on this blog for more information about church services and directions. Again, it is with great pleasure that I name Bishop Paul L. Fortson as The Revolutionary Paideia November 2010 Person of the Month. Bishop, thank you for your love, service, commitment, leadership, and example. Revolutionary Paideia highly endorses Bishop Paul L. Fortson. God bless Bishop Paul L. Fortson, Evangelist Carolyn C. Fortson, and family!